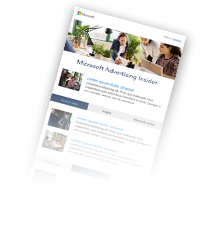 We are pleased to announce the release of Bing Ads Editor version 11.7. 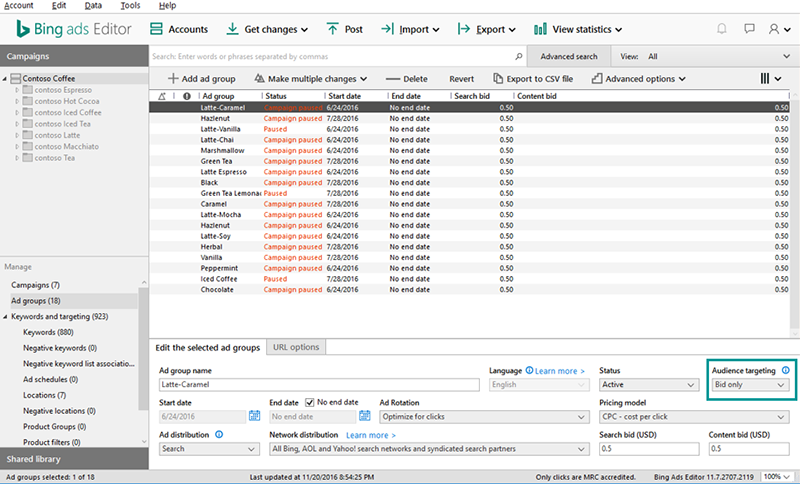 With this release, you can easily bulk manage your Remarketing in Paid Search audience associations and product filters for Bing Shopping Campaigns. Associating specific audiences to your ad groups helps to deliver the right ad to the right customer. This, in turn helps to maximize your return on investment in Bing Ads. Learn more about Remarketing in Paid Search. 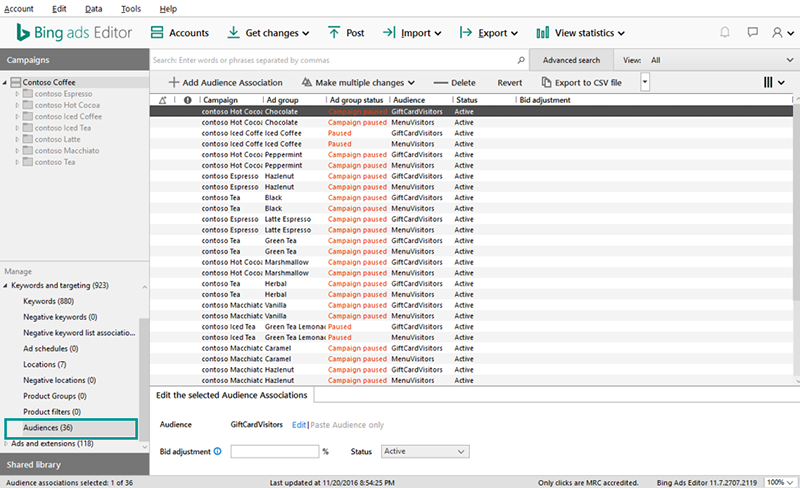 You can now create, modify, and delete audience associations from Bing Ads Editor. One or more ad groups can be easily associated with one or more audience lists. You can then adjust your bids on specific Audience association to maximize the chances of showing your ads to the audience that matters the most. From the ad group editor pane, you can also set the audience targeting to either Bid only (shows ads to everyone, with the option to make bid adjustments for the selected audience) or Target and Bid (shows ads only to the selected audience, with the option to make bid adjustments). Note: Although you can choose the shared audience list for your audience association for your Remarketing in Paid Search campaigns, managing shared audience lists is not supported in this version. When you create a Bing Shopping Campaign, all products in your Bing Merchant Center store will be included in the campaign by default. Using product filters allows you to include only a subset of your products in your campaign. We heard your suggestion that the ability to manage product filters in bulk will significantly improve your efficiency. 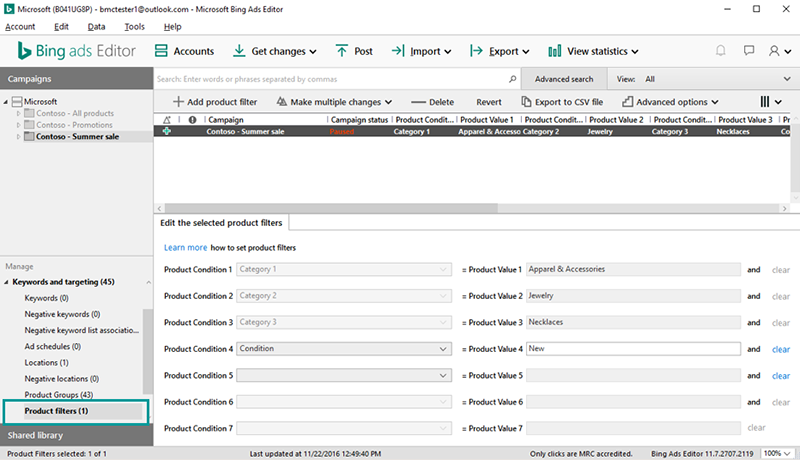 Now, you can create, modify, and delete product filters for one or more shopping campaigns from Bing Ads Editor. Learn more about setting product filters.